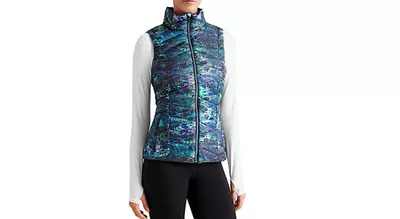 Run happy all winter with this stylish cold-weather gear. Winter's shorter days and colder temperatures make fitting in a run no easy taskânot to mentionÂ how arduous it is toÂ stomp through snow or tiptoe over a sheet of ice. But, running throughout the winter months gives us serious health benefits. Not only do we stay in tip-top shape, but research suggests that exercise can help alleviate symptoms of depressionâsomething especially important during the winter months when seasonal affective disorder (SAD)Â strikes as many asÂ 20% of Americans. Make sure you stay well-equipped and warm with all of your tech needs during your runÂ so nothing gets in your way when you're out on the street. Never worry about your earbuds popping out while you're out running (or running errands) again. 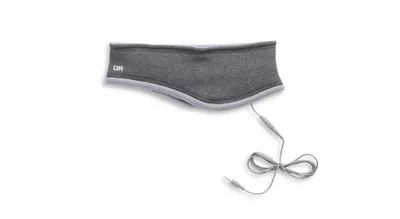 This fleece headband from UR Powered not only keeps your ears toasty when cold weather is in full force, but it also doubles as your headphones. It comes with HD speakers that thread directly between two layers of fleece and connect to aÂ wire that feeds into your smartphone or audio player. The speakers are removable so you can easily throw the headband into the wash on laundry day. Don't ever get caught swiping your phone with your nose again! The fingertips are touchscreen-capable, so you don't need to remove your gloves to send a text.Â WhileÂ not necessarily new, these gloves areÂ a tried-and-true solution to handling cold weather while you're out on a run. They are thin enough so as not to overheat you, but warm enoughÂ to shield you from the elements. And, with a silicone grip on the palm, your smartphone won't go flying from your hands into a pile of snow. Now you'll never tangle those pesky headphone wires again. This hoodie builds headphones directly into the drawstring, with the earbuds at the end so you can just pop them in and get moving. All youÂ have to do is slip it on, plug in your smartphone, and tune out as you hit the streets. Guess what? 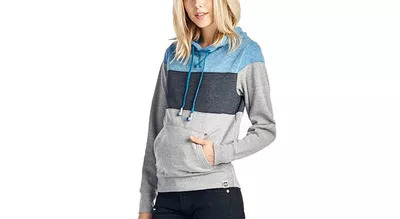 This hoodie is 100% washable, which means that you don't have to worry about water damage to your headphones. It's important to keep your core and extremities warm throughout a winter workout. 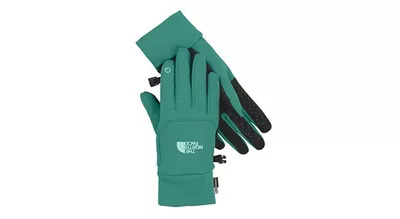 You've got the gloves, now stay toastyÂ (but not too warm!) in this vest. It's packed with 800-fill goose down that keeps you warm without weighing you down. If you find yourself often fiddling with bouncing headphone wires during your winter runs, you might want to invest inÂ this vest, whichÂ features a media pocket to keep your smartphone secure, along with a port to run your headphone cables through. Nothing is more annoying than finding a logical way to wire yourself while loaded in layers so you can pump great tunes into your ears to keep you going. This jacket has a media-cord port and secure pockets, so you won't be bothered anymore. 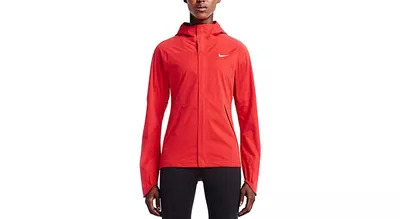 Perfect for cold weather running, this jacket completely blocks wind and keeps outÂ the rain. Just add your base layer and you'll be set.